She is a fan of Frozen. 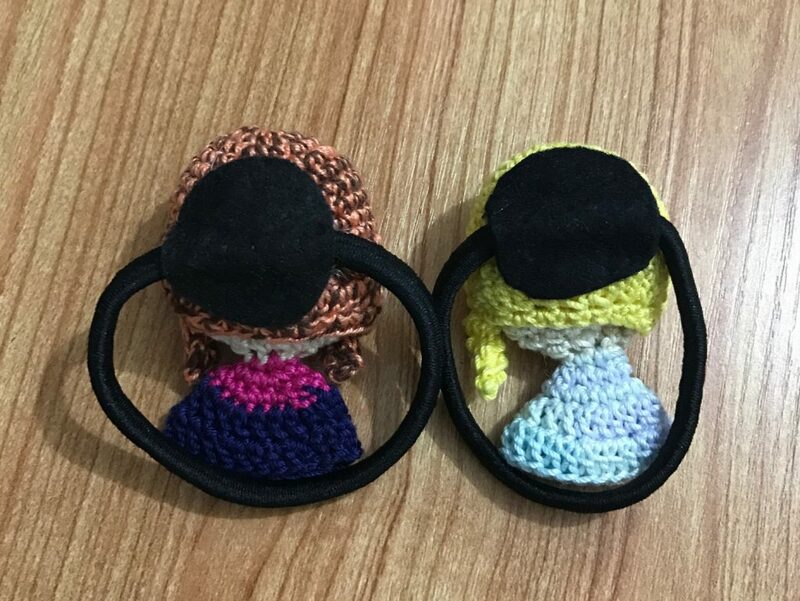 She always has her elsa plush with her when she goes out with her mom, which is understandably annoying to most mothers LOL And so, when her mom saw these pieces, she is very thankful because she can put this on her hair and avoid her to take the plush out because Elsa and Anna are already on her head! What an idea ha! 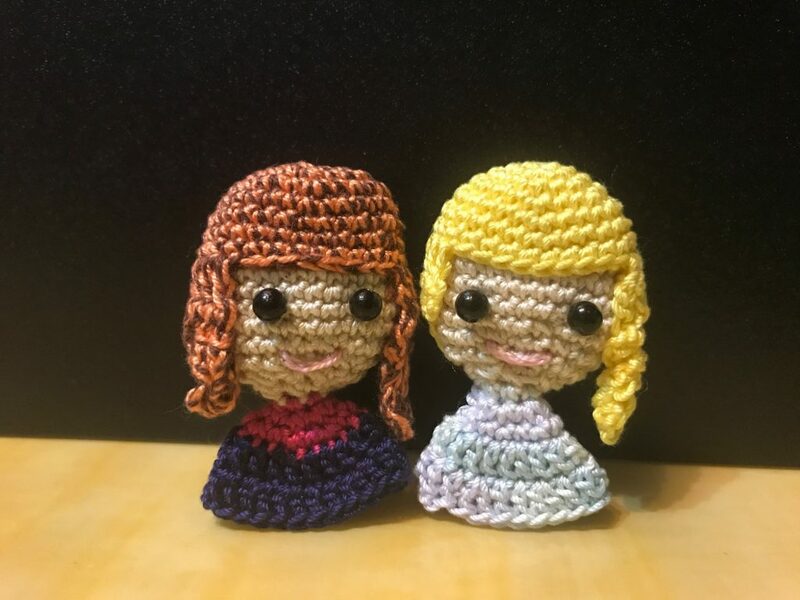 As it was quite free flow when I crochet it, without taking any reference or notes, I could only share with you my yarn choices below. They are all japanese lace yarn. 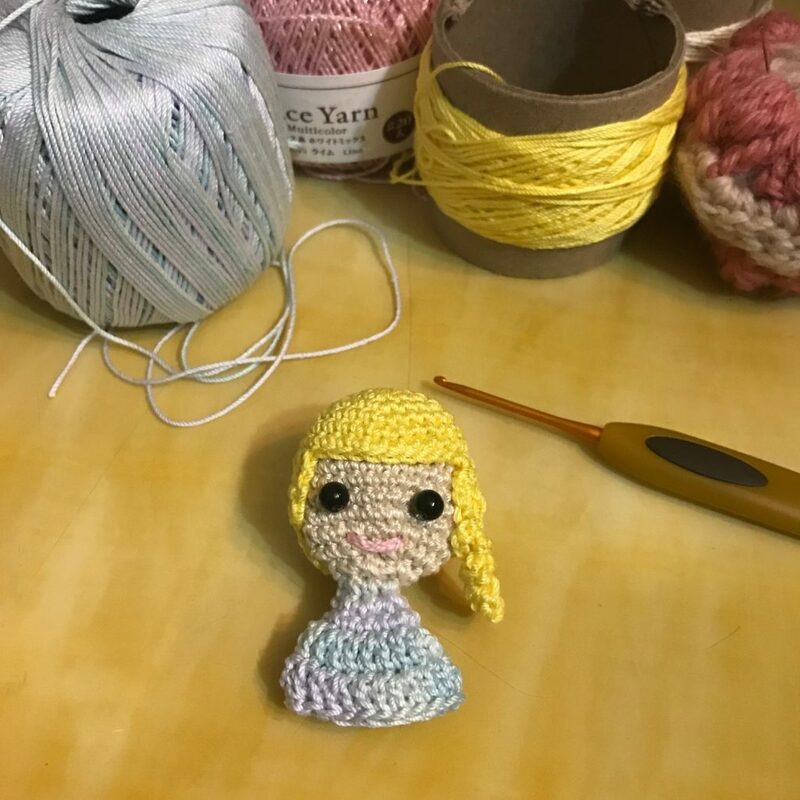 For elsa, I used yellow for the hair, beige for face and a multi-color yarn which is a mixture of light blue and green for the dress part. Light pink is used to embroider the mouth. For Anna, I used the same beige color for face, fuchsia and dark blue for the dress. 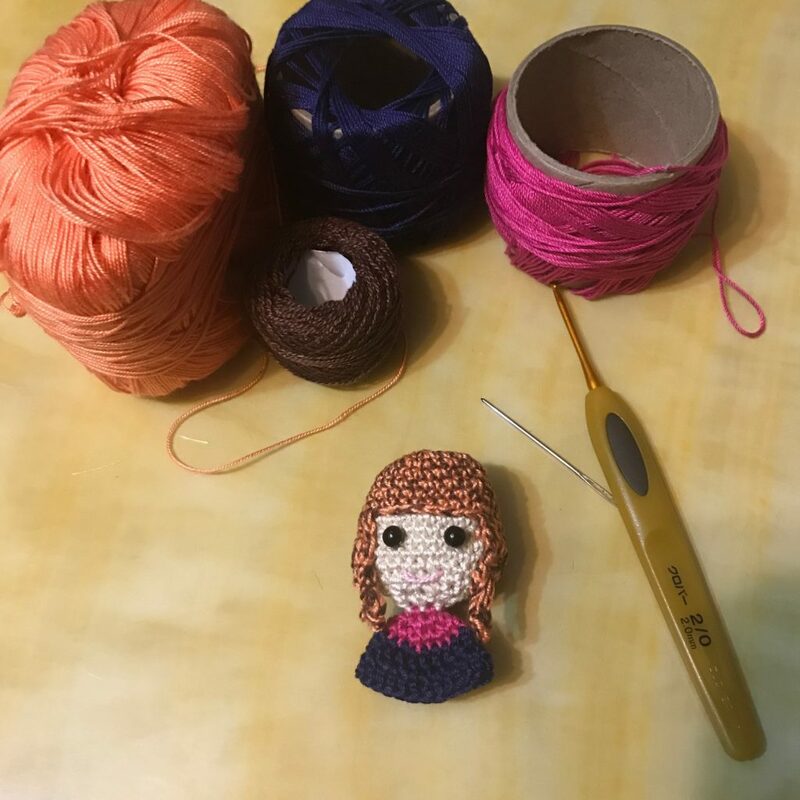 For the hair part, I used another thin lace yarn as I have to take two thread, brown and orange, to crochet together so that the color matches the original color more. 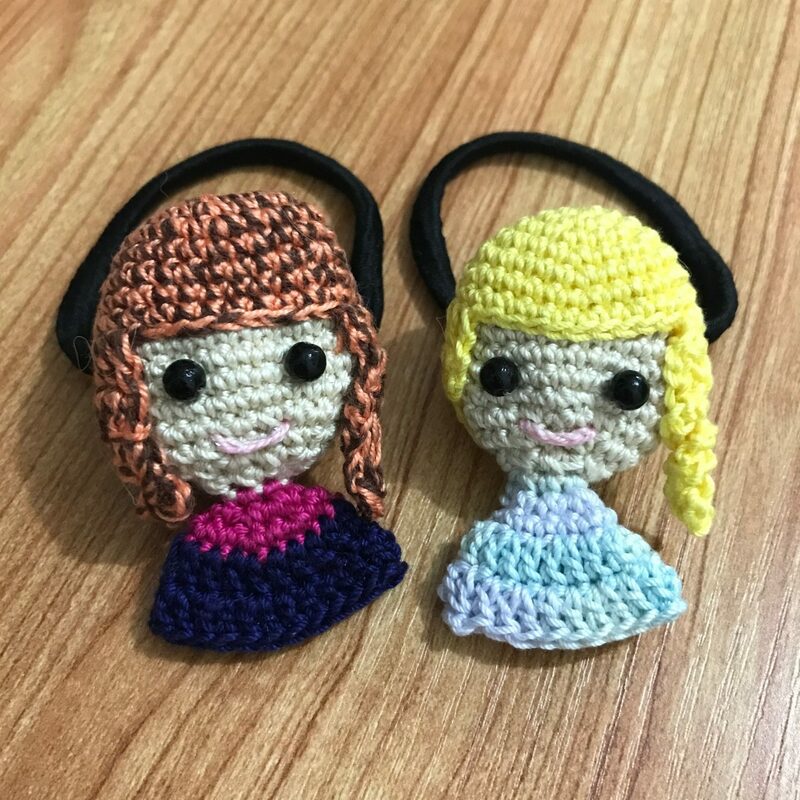 Before adding the hair band, it can be just a mini crochet plush, or add a key chain ring to become a little school bag accessories. 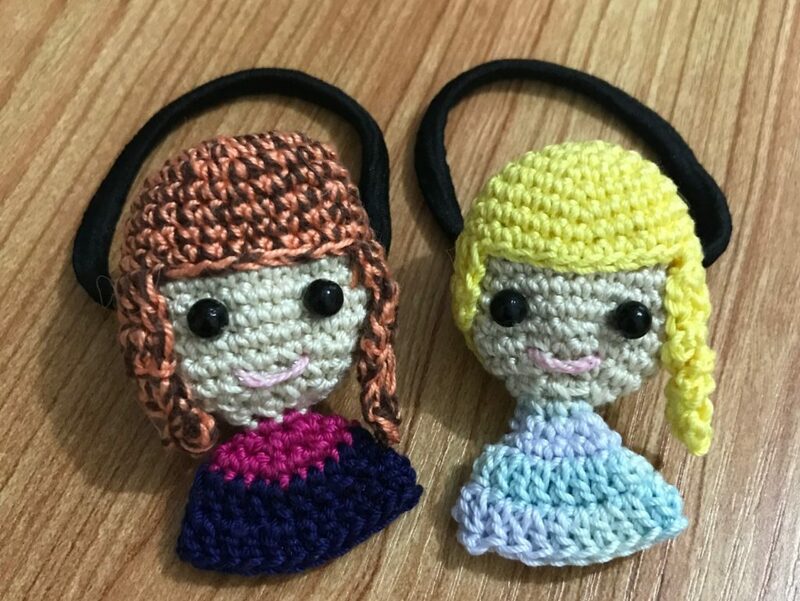 I used hot glue hot to stick the hair band onto the back of them, with a little fabric to cover the glue. 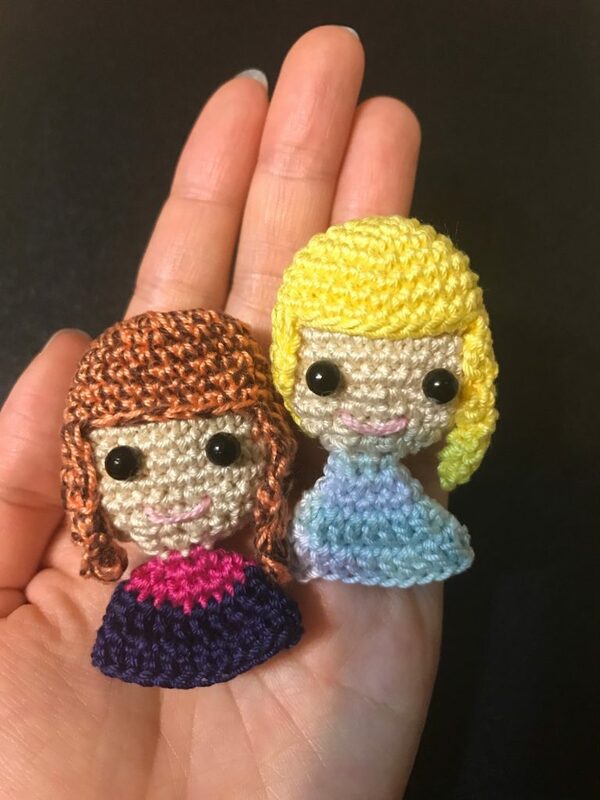 I can’t wait to see these little cuties on my god-daughter’s hair!